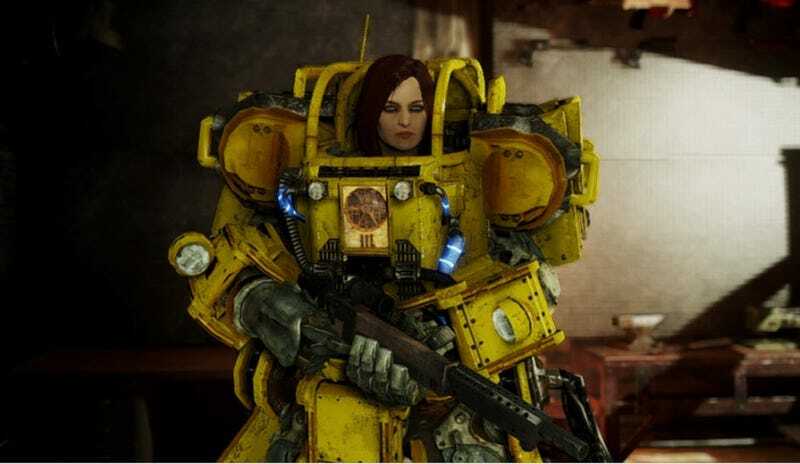 Last month, Bethesda seemed to give up on the prospect of bringing mod support to the PS4 versions of Fallout 4 and Skyrim, saying that Sony just wasn’t having it. Now, though, both companies have made some compromises. Emphasis mine, not theirs. Basically, this means that you can only work with assets (textures, objects, sounds, etc) that already populate Fallout 4's irradiated wastes and Skyrim’s rad dragon pad. No custom-made stuff. So while you can still make some pretty outlandish locations and scenarios by remixing what’s there, don’t expect to see, say, Pacifc Rim power armor, a horrifying race of My Little Pony characters, or Thomas The Death Engine available on PS4. Many less over-the-top preexisting mods on PC and Xbox One still use some custom assets, so they’ll at least have to be modified before they can make the jump. If nothing else, though, fixes and rebalances like the Fallout 4 Unofficial Patch should be alright. It’s a bummer, but I suppose some mods are better than no mods. Then again, is Fallout without Macho Man Randy Deathclaw really Fallout at all?